Email marketing is the most effective way to promote your products and services directly to your customers and prospects, and achieved an average revenue of £40 for every £1 spent in 2011*. It's a great way to get your message across, and is very cost-effective when compared to printed marketing techniques. Our email marketing expertise and integrated software helps you send visually stunning e-mailings with your own unique content in a matter of minutes. * Source: Direct Marketing Association "The Power of Direct Marketing (2011)" forecast. The project was handled in a professional and timely manner. Source Design kept us involved in the design process and helped us make the critical decisions. 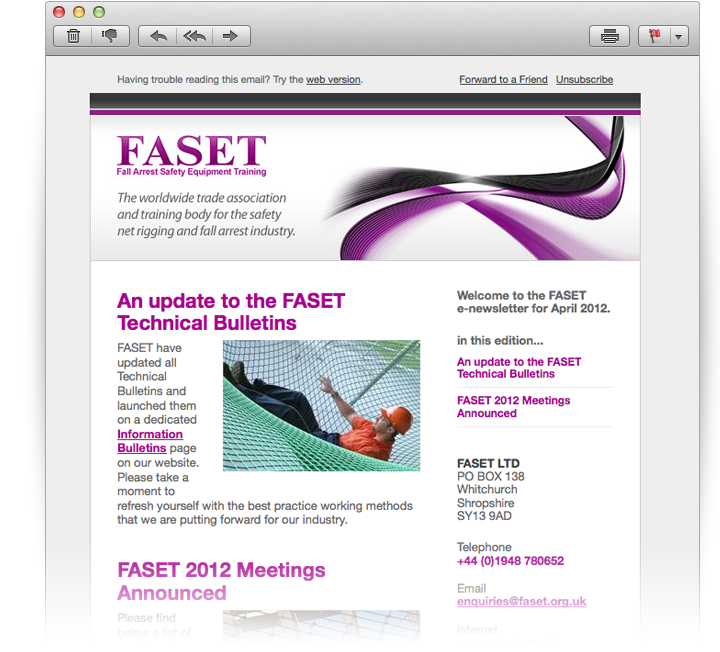 The Board and Membership are delighted with the email newsletter. I'm interested in sending email marketing to my customers and propects. How do I find out more?